A former student of Othon Friesz, he was co-founder of the group «L’Echelle» in 1943. He appears in many exhibitions of the group until 1948. At that time, his paintings proceed from a speculation on optical rhythms. The illusion created by objects situated in a geometrical spaceor by characters shaped in slices of bright colours, give rise to what he calls «static rhythms». After going through a neo-cubist period, influenced by Juan Gris, aorund 1954, he creates paintings tending to abstraction. 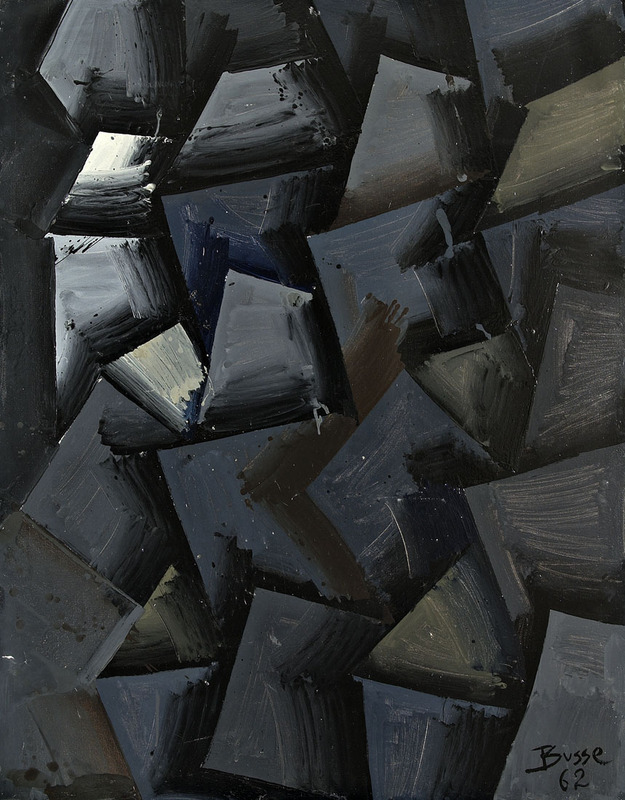 His work is divided up into several series : a first series called «Hommage to Claude Nicolas Ledoux», around 1958-1960, (Hommage à Claude Nicolas Ledoux,1960, Museum of Grenoble), a combination of curved shapes and rights, replying to one another according to a binaryrhythm, which prefigure the lay out of planes into space, a characteristic feature of theVillage series. In 1963, with the series Suite Nervalienne, he develops a hard and rugged formal kind of vocabulary. The theme of the Gisantes, which he illustrates in 1964, enables him to assert his links with the logic of abstract expressionim, through the display of supple and anthropomorphic shapes. 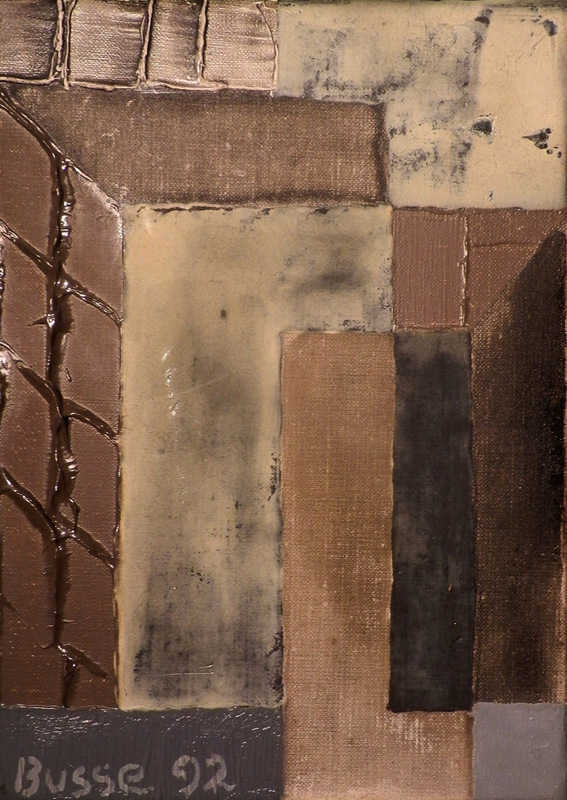 Hisworks created in the 1980s testify to his interest in the line as well as in the unit (Ecritures Forestières N°15, studio of the artist). He has taken part in many exhibitions, both national and International : the Fair of young artists under, 30 in 1943 ; the Fair of Young Painters in 1955, in Rome, Brussel, Paris ; Today’s Painters in 1959, in Grenoble. Jointly, he leads a careeras a teacher (School of Fine Arts of Nancy, Ranson Academy, School of Fine Arts of Marseilles, Institute of Art and Archaeology in La Sorbonne).In 1975, he is editor of the third edition of theBénézit Dictionary, while working as a teacher at the Fine Arts School of Dijon (1974-1988). Vice-president of Realités Nouvelles in 1980, he became its president from 1981 to 1991.